Xbox One owners considering purchasing Project CARS developed by Slightly Mad Studios, will be pleased to learn that the Project CARS Digital Edition is now available to buy and download. The digital edition of Project CARS includes the Limited Edition upgrade DLC pack, unlocking five new legendary cars in the form of the Ford GT40 Mk IV, BMW M1 Pro Car, McLaren F1, Sauber C9, Mercedes-Benz AMG C-Coupe DTM. The five new cars are drivable in any of the games modes and are showcased with the special one-make series within your career, and have been tested, and approved by a passionate community of racing fans and real-life drivers. 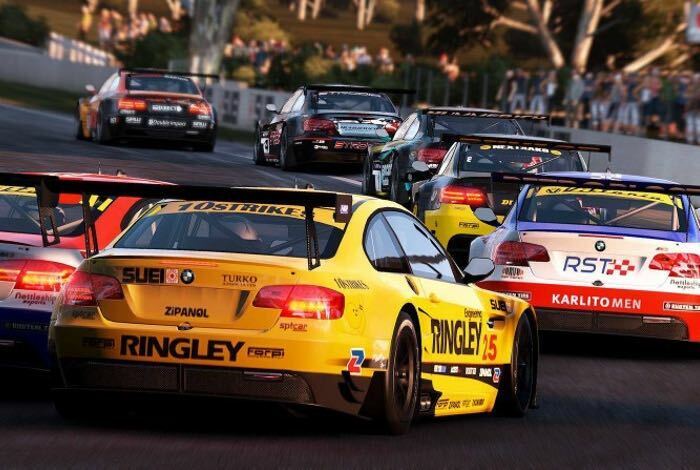 Project CARS launched earlier this month and is available to play on PC, PlayStation 4, Xbox One, SteamOS and Wii U. “Project CARS represents the next-generation of racing simulation as the ultimate combination of fan desire and developer expertise. Discover an unrivaled immersion fuelled by world-class graphics and handling that allows you to truly feel the road. Create a driver, pick from a huge variety of motorsports and write your own tale in a sandbox career mode.